It is important to follow the recommendations in the Canada Food Guide on types and amounts of foods your child should eat. For more specific information on your toddler and his nutritional needs, speak to your health care provider. Canada's Food Guide – Information about eating well with Canada's Food Guide. 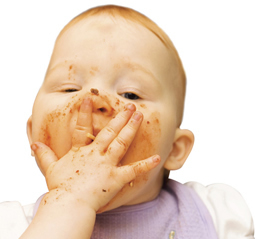 Feeding Your Baby in the First Year – Help your baby develop a lifetime of healthy eating habits with the right start.